Ms. Sumaiya Nazeen, Lecturer of the Department of Computer Science and Engineering, has been awarded with the prestigious International Fulbright Science and Technology Award for the year 2012-2013. This award is one of the most prestigious international scholarships in science and technology. This year the Bureau of Educational and Cultural Affairs (ECA) of the U.S. Department of State has awarded this scholarship to fifteen outstanding foreign students from all over the world and Ms. Nazeen is the only one to get this scholarship from Bangladesh. 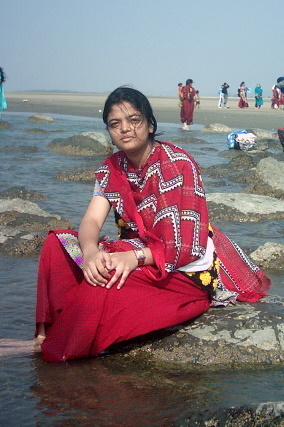 She has graduated from the Department of CSE, BUET in February, 2011. Her current research interests focus on Bioinformatics and Bio-inspired algorithms. We are very proud of her achievement and wish her a bright future. CSE lecturers have been achieving this prestigious award every year since its inception in 2007-08. The previous Fulbright scholars from this department are now pursuing their PhDs in top ranked US universities in Computer Science, like University of Cornell, University of California, Berkeley, University of Texas at Austin, and University of Illinois at Urbana Champaign.